We are all familiar with rainbows, phenomena of the weather due to sunlight being filtered through the prism of atmospheric water droplets. The rainbow appears in the section of the sky opposite to the sun and is viewed at an angle of 42 degrees (from the side opposite the sun). This 'illusion of light' can be single, with one full spectrum visible or double if the light is reflected twice inside the water droplets, the second arc having the reverse order of colors as compared to the first. The rainbow is a beautiful, mystical piece of art created by nature and viewed by many religions as a message from the divine. The term 'rainbow' has been used in reference to multi-racial communities (such as post-apartheid South Africa) and multi-racial families (Reverend Jim Jones adopted mixed-race native and mixed-race Korean children and referred to his own family as the 'Rainbow Family' - see post: The Reverend Jim Jones). 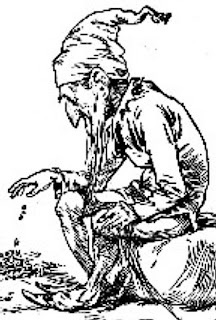 In Irish mythology, the leprechaun kept a pot of gold at the end of the rainbow which would be yours if you could get there (which, conveniently, is physically impossible). In Norse mythology, the rainbow was the bridge between the world of gods and humans. In Armenia, it was the belt of Tyr, the sun god (see post: Worship of the Sun). 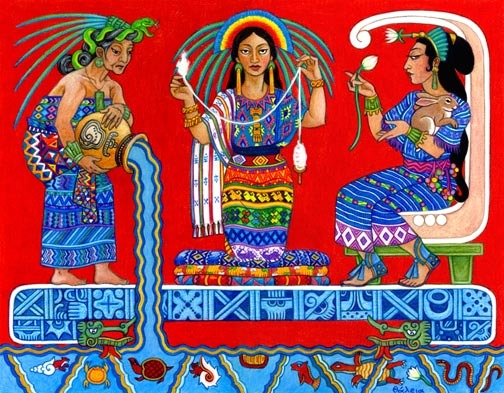 Ix Chel was the Mayan goddess of the moon, water, weaving and childbirth, founder of the city of Palenque. The translation of her name is 'Lady Rainbow'. 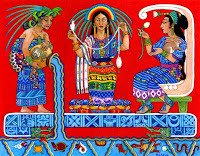 Chak Chel (Red or Great Rainbow) is another Mayan rainbow goddess, responsible for the destruction of the 'third' world by unleashing a great flood. 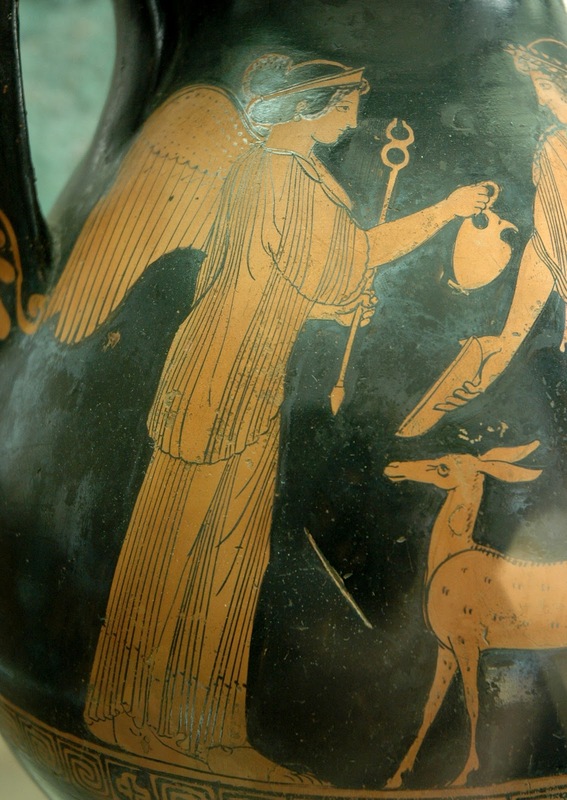 The Mesopotamian Epic of Gilgamesh tells the story of the rainbow, the jewelled necklace of the Great Mother Ishtar, that the goddess lifts into the sky to signify that she will never forget the days of the great flood that destroyed her children, brought down upon them by the god Enlil. This same flood story and promise seem to have been borrowed by the Judeo-Christian Book of Genesis 9: 13-17 where God promises that he will never again destroy the earth with flood. The Mormons state that the second coming of Jesus Christ will not occur in any year when a rainbow is seen (it is not clear in what region of the planet that the rainbow must not appear for one full year in order for this to happen). In China, the rainbow was a rent in the sky filled in with colored stones by the goddess Nuwa. In pre-Islamic times, in the Arabian peninsula, the rainbow was the war bow of the god Quzah. The Hindus had several interpretations of the rainbow, one that it was the bow of Indra, another that it was the bow of Rama. 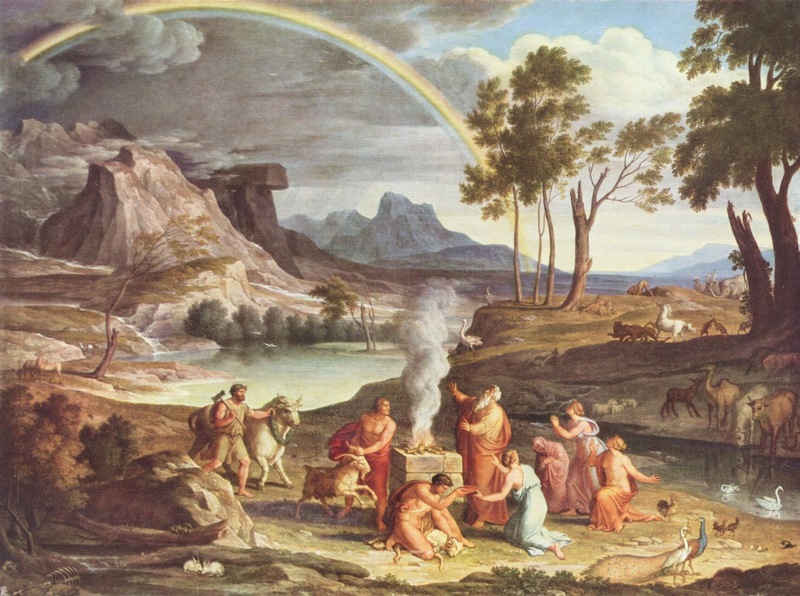 The Greeks (and Romans) saw the rainbow as the path of the messenger, Iris between earth and heaven. But not all cultures saw the rainbow as a benign force. In the Amazon, rainbows were evil spirits responsible for miscarriages and skin disorders. 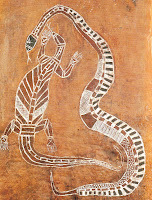 For the Australian Aborigines, the Rainbow Serpents were, among other things, ancestors who lived in bodies of water (see post: The Serpent). They were associated with rain-making and were dangerous for the living. 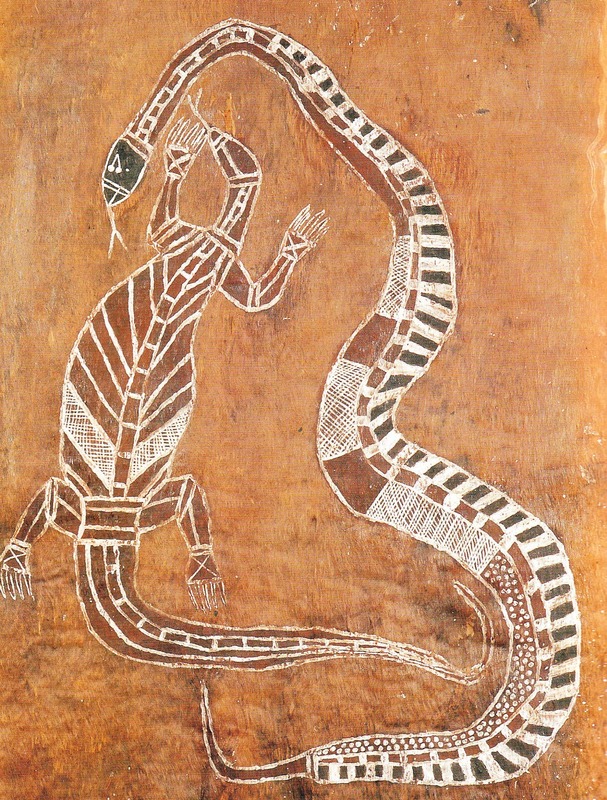 Another interpretation was that the 'Rainbow Snake' was a deity who lived in permanent water holes and controlled life's precious water and oils. *Sky worship: subject of research for the novel The Tao of the Thirteenth God - Amazon Kindle.